You name it, we’re ready to stake out a side and then loudly educate our fellow fans about what utter and unsalvageable morons they are. But every once in a great while, the unthinkable happens: Hockey fans agree on something. We stumble on a topic that there’s just no arguing over. An objective truth is revealed, and there’s nothing to fight about. Everyone joins hands and sings. A beautiful consensus forms. Unfortunately, sometimes that consensus is just wrong. So in an effort to set the record straight, today I’m launching a new feature, in which we’ll look at various facts from NHL history that every hockey fan knows to be true, but aren’t. These days, any hockey fan making a generic “terrible goalie” joke might name-drop Vesa Toskala or whoever’s currently manning the crease in Philadelphia. But there’s a good chance that, almost two decades after his career ended, they’ll still go back to former Montreal Canadiens backup Andre Racicot. For fans about my age, Racicot is remembered as the undisputed worst goalie of his generation. But here’s the thing: Looking back, Racicot wasn’t all that bad. Over his career, he put up an .880 save percentage and 3.50 goals-against average, which were reasonable numbers for the early ’90s. Check out this list of every goalie who played 40-plus games during Racicot’s five-year career. Racicot ranks 43rd out of 68 guys in save percentage; that isn’t great, but it certainly isn’t close to “worst ever” territory. He’s right in that dependable backup range with guys like Reggie Lemelin and Rick Wamsley, and not even all that far off from guys like Sean Burke and Mike Vernon, who were considered stars. In fact, during the Canadiens’ Cup year in 1992-93, you could argue that Racicot was pretty much even with teammate Patrick Roy during the regular season. Roy went 31-25-5 with an .894 save percentage and 3.20 GAA, while Racicot went 17-5-1 with an .881 save percentage and 3.39 GAA. 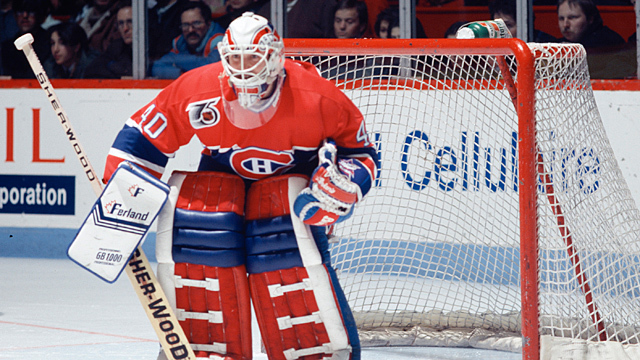 It’s all but forgotten now, but when the Habs lost the first two games of their opening-round series to the Nordiques, there were actually calls for Racicot to take over the starter’s job. So why does everyone think he was terrible? It was partly because he played in one of hockey’s toughest markets while backing up arguably the greatest goalie of all time. Remember, Canadiens fans booed Roy out of town after three Vezinas and two Stanley Cups, so you can imagine how they felt about his backup. And it didn’t help matters that Racicot would occasionally do stuff like this. But Racicot’s biggest problem is right there in this section’s headline. Calling a goalie “Red Light” may be one of the most brutal sports nicknames of all time. Nobody seems to know for sure who coined it — some say it was Don Cherry, others have mentioned legendary Habs beat writer Red Fisher — but it was too good not to stick. It’s even fun to say. Andre “Red Light” Racicot. It flows just right. So what if it was never really deserved? Once “Red Light” got hung on him, Racicot’s professional reputation was toast, and remains so to this day. Every hockey fan knows about Samuelsson’s legendary low-bridge hit on Neely from the 1991 conference finals. If you’re looking for an NHL morality play in 10 seconds, this one is just about perfect. Neely was the prototypical hard-nosed power forward, Samuelsson was a legendary cheap-shot artist, and sticking out your knee to make a hit is inarguably one of the dirtiest plays in hockey. Everyone also remembers the tragic postscript: The hit ruined Neely’s leg, leading to him playing only 162 games over the next five years and eventually forcing his retirement at age 31. Except that’s not how it happened. It’s true that Neely suffered a severe leg injury during that year’s playoffs when Samuelsson’s knee drove into his thigh, damaging the muscle so severely that it would start to calcify and keep him out of action until the following January. But it didn’t come on the knee-on-knee hit in Game 3 — it actually happened on a different hit later in the series. And that one was initiated by Neely. And even that hit wasn’t the one that ended Neely’s career. His early retirement actually came because of a degenerative hip condition that doctors said was unrelated to the Samuelsson hits. But that’s not how hockey fans choose to remember it, because Samuelsson was a dirtbag, and blaming everything on him is just too much fun. The Maple Leafs have a long history of making awful trades. Any Toronto fan can list off the names: Tom Kurvers, Rask-for-Raycroft, Owen Nolan, and (these days) Alex Steen. But there’s another trade that always winds up being included on that list: Russ Courtnall for John Kordic. And it doesn’t belong there. I’m plagiarizing myself a bit on this one, since I already wrote about this many years ago when my blog was just a few days old. Apologies in advance to all five of you who’ve already seen it. For the rest of you, here’s the summary. On the surface, trading a speedy top-six forward for a one-dimensional goon seems ridiculous. And today, it undoubtedly would be. But back in 1988, it was a fact of NHL life that teams needed enforcers, and often more than one. And that was especially true if you played in the 1980s Norris Division, which was basically one long ECW hard-core match that took place on ice and lasted for an entire decade. I’m pretty sure I remember guys hitting each other with stop signs. In 1988, the Leafs didn’t have anyone who could hang with Bob Probert, Basil McRae, Shane Churla, Joey Kocur, and the rest of the division’s super heavyweights. (Seriously, the Norris had a guy nicknamed The Missing Link, and he was only like the 12th-scariest guy in the division.) 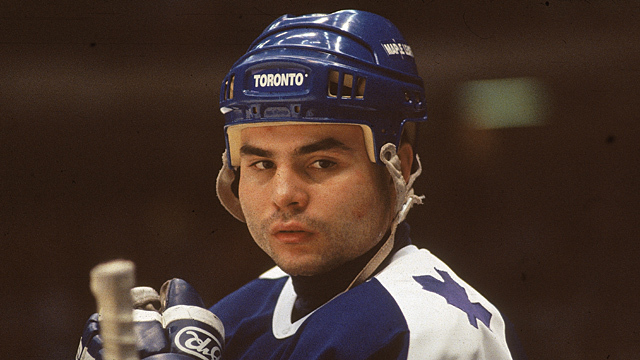 So the Leafs went out and got Kordic, and let’s just say he fit right in. It cost them Courtnall, a young winger who, I assure you, was nowhere as good as you remember him. He was blazingly fast and went on to a long career. But he also never had a point-per-game season despite playing in the league’s top offensive era. Russ Courtnall was a good player. He wasn’t the legend that Leaf fans have been browbeaten into thinking he was. Kordic only lasted two years in Toronto before being traded to Washington, partly because of personal issues that eventually cut short both his career and his life. In hindsight, yes, you’d rather have Courtnall. That’s an easy call to make today. But unlike all those other Leafs deals that everyone hated from the day they were made, Courtnall-for-Kordic made perfect sense at the time. It doesn’t deserve to be anywhere near a “worst deals ever” list. In 2006, the Edmonton Oilers made the playoffs by three points and faced a 124-point Detroit Red Wings juggernaut in the first round. But they pulled off the upset, and then two more, making it all the way to Game 7 of the Stanley Cup finals before losing to the Carolina Hurricanes. You might think that would qualify as an almost unprecedented Cinderella story. You would be wrong. I made that mistake a few months ago and was swiftly corrected by a small army of Oiler fans via Twitter and email. (This was during the offseason, so Oiler fans were still doing things online other than running Google searches for “wholesale scotch” and “discount antidepressants” and “what is a goaltender?”) It turns out that the 2006 Oilers were actually a lot better than you remember. For one, the Oilers finished the season with 95 points, so they weren’t exactly a 1991 North Stars–style band of misfits. They were sixth in the conference in goals scored. They had a blue line anchored by Chris Pronger. And while we don’t have traditional Corsi or Fenwick stats available for 2005-06, the numbers we can look at indicate they were one of the best possession teams in the league. 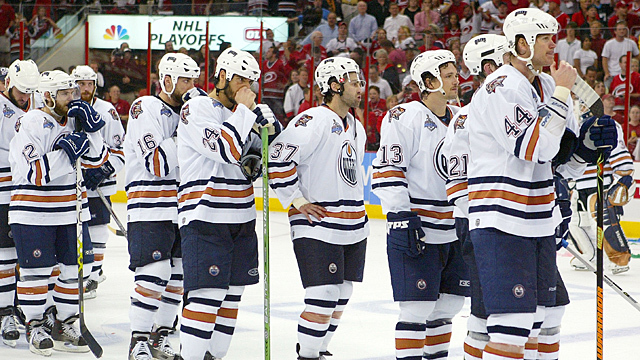 No, the Oilers weren’t a bad team. They were a good team, and maybe even a very good one. But they were dragged down by terrible goaltending, with the trio of Jussi Markkanen, Ty Conklin, and Mike Morrison all putting up awful save percentages in the .880 range (all three were among the league’s seven worst goalies on the year). You can call it a great “what might have been” story. Just don’t call them Cinderella. 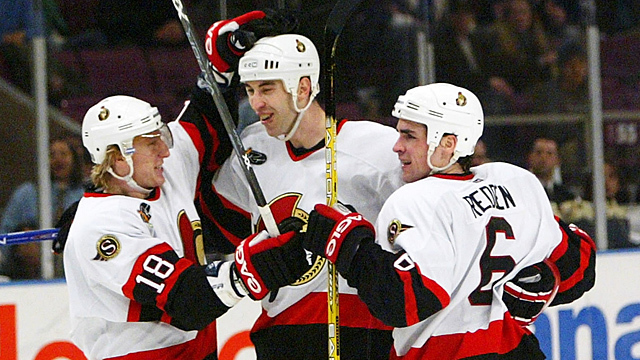 In 2006, the Ottawa Senators found themselves with a pair of All-Star defensemen both hitting unrestricted free agency at the same time, and it quickly became apparent they wouldn’t have enough cap room to bring back both. In the end, they signed Redden and let Chara test the waters. Now let’s be clear: Looking back on it now, choosing Redden over Chara was an enormous mistake. Chara signed with Boston, where he went on to win a Norris while claiming the title of the best defenseman of his generation not named “Nicklas.” Redden, meanwhile, spent just two more years in Ottawa, was a free-agent bust as a Ranger, and was buried in the AHL by 2010. So nobody would dispute that the Senators wound up picking the wrong guy. But that has led some to assume it should have been an easy call all along. It wasn’t. In fact, at the time it was a reasonable call for the Senators to choose Redden. Remember, this was after the first season of the post-lockout “new NHL,” featuring not just a salary cap but a revamped rulebook designed to encourage a faster, more offensive game. And no one ever called the 6-foot-9 Chara fast. In the 2006 playoffs against the Sabres and their small but speedy forwards, Chara had struggled. There was concern he was exactly the sort of bruising player that the new rules were going to render irrelevant. Redden was no speedster himself, but he was a master of the one skill everyone agreed would be crucial for a defenseman in the wide-open era: He could make that initial pass out of the defensive end that could send a team through the neutral zone with speed. In the years immediately following the lockout, you couldn’t mention a defenseman without immediately discussing his ability to make that all-important first pass. On top of that, Redden was willing to take a short-term deal with at least a moderate hometown discount, while Chara wanted the big bucks. And Redden had been with the Senators for a decade, was active in the community, and had been heavily marketed to fans for years. Chara was popular, sure, but Redden was arguably the most popular player in franchise history at that point. Add it all up, and the decision was far from the “what could they possibly have been thinking?” slam dunk that it has morphed into over the years. But at the time? It really was a tough call.